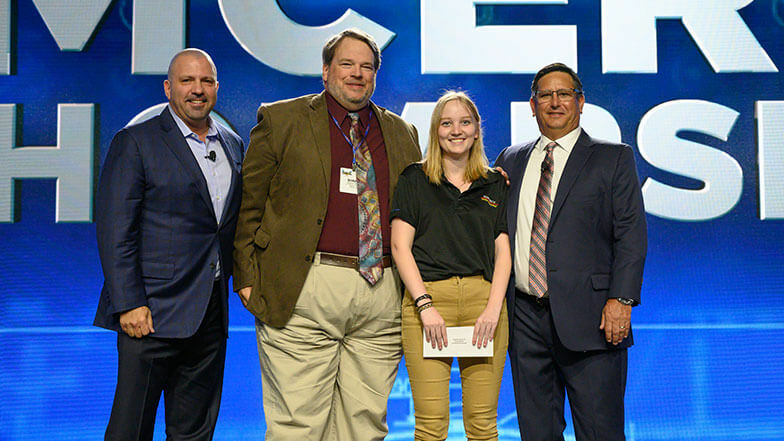 Madison Beauchain from the Wentworth Institute of Technology, took home the Foster J. McCarl, Jr. Memorial Scholarship. Shawn McCarl of S.P. McCarl & Company, the scholarship sponsor, presented the check for $2,500. 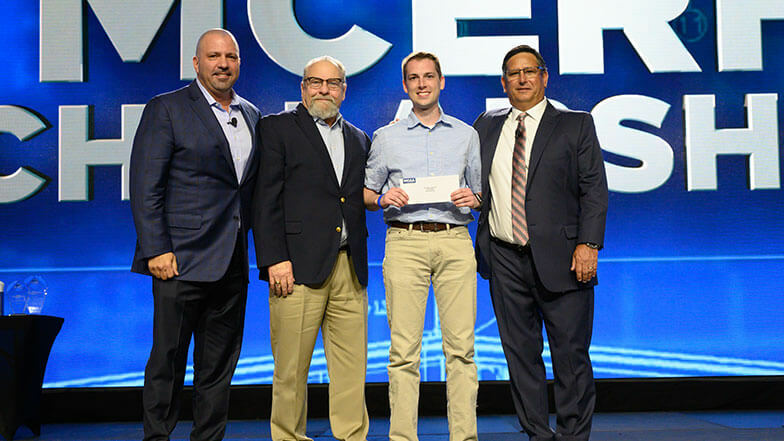 Caleb Kowalski from the University of Nebraska took home The William A. Bianco, Jr. Memorial Scholarship sponsored by Kinetics. Kinetics Executive Vice President Global Operations Michael Cables, an MCAA past president, was on hand to present the $5,000 check. 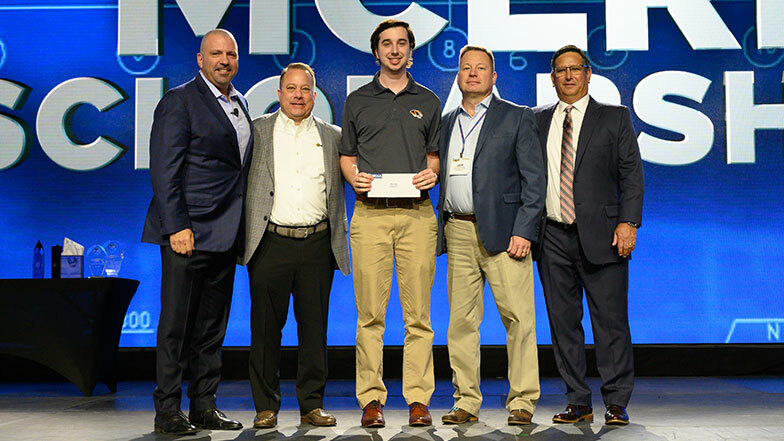 Thomas Walsh from the University of Missouri-Columbia, received The Reilly Family Memorial Scholarship. Robert Beck and John Stamar of John W. Danforth Company, the scholarship’s sponsor, presented the check for $5,000. 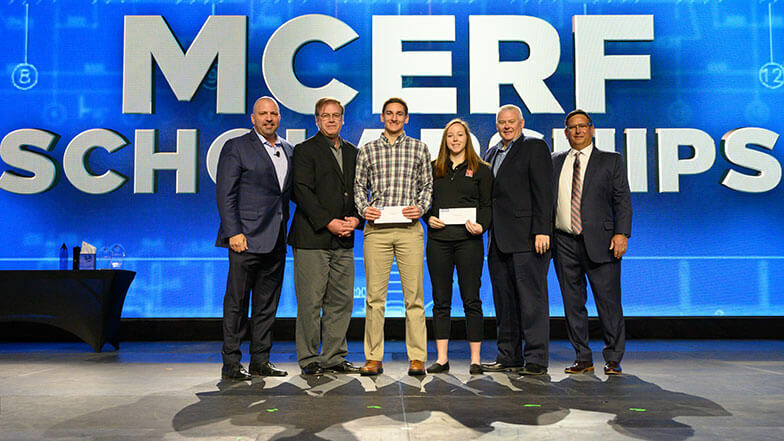 Brooke Scott from the Milwaukee School of Engineering and Jarrod Blaser from the University of Nebraska-Lincoln took home The Alan O’Shea Memorial Scholarship. Kevin Armistead and Marty Drobny, representing MCA of New Jersey, the scholarship’s sponsor, were on hand to present the $2,500 checks.